Orbit Brass Hose Wye-w/Double Shut-off. Convert one faucet into two for multiple uses from one hose faucet. 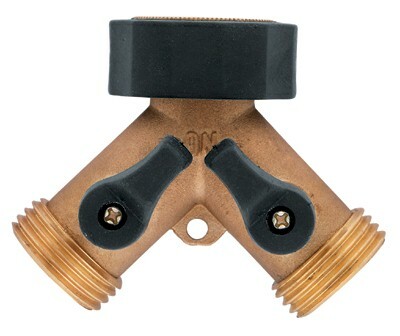 Adjust the flow Use two hoses from one faucet or one hose by using the shut-off valve Leak-free ball valve. Dual adjustable flow control Comfort grip on swivel. 6 year factory warranty.